Today in AP Physics 2, students determined the mass of the electron. 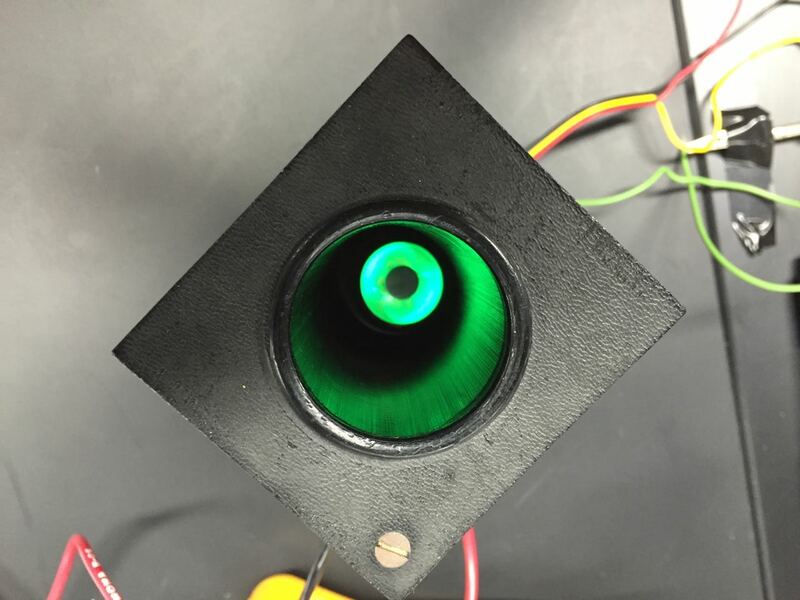 The students deflected an electron beam in a vacuum tube with the magnetic field of the solenoid. 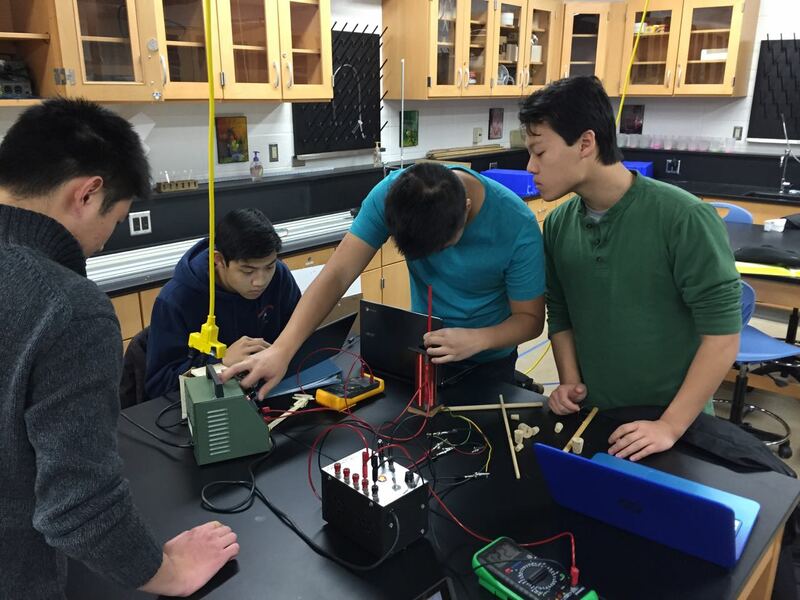 By measuring the current in the solenoid, the accelerating potential in the vacuum tube, and the radius of curvature of the electron beam, students were able to calculate the mass of the electron. There is a lot of uncertainty in the radius measurement, but the calculated mass is still fairly close to the expected value! Today I was off-campus for a meeting for our district’s Digital Learning Initiative (1:1 pilot). 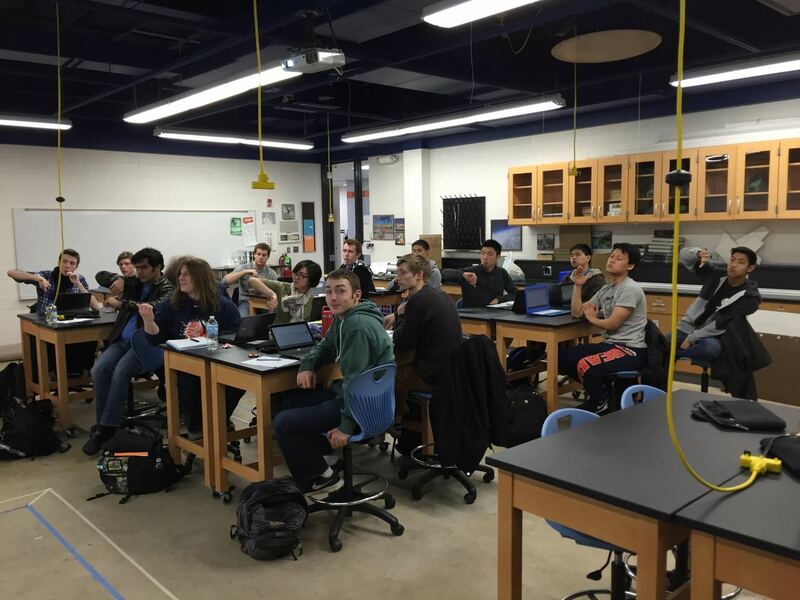 The AP Physics 2 students whiteboarded on their own. One of the problems I assigned was a bit more challenging that I realized requiring the application of the Law of Sines and an equation that we hadn’t seen previously. Probably not the best choice for what I wanted them to focus on. 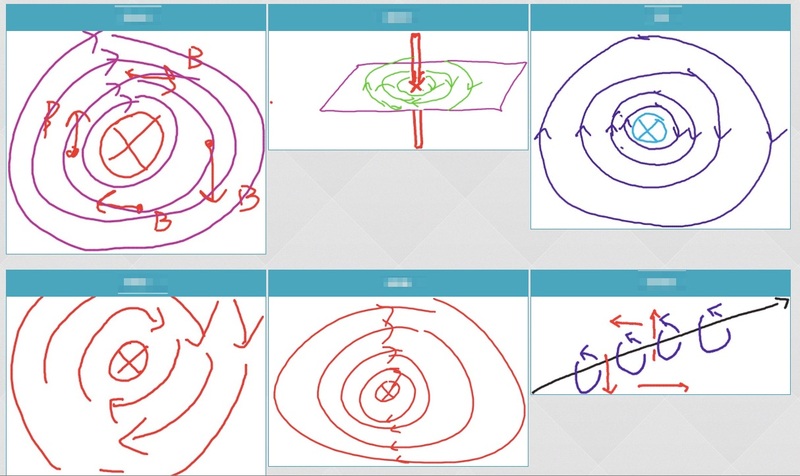 For one of today’s formative assessment sketches, I asked students to sketch the magnetic field of a current-carrying wire given the direction of current in the wire and draw the force vector on a positively charged particle near the current-carrying wire. I’m definitely gaining more insight into which students are still developing their understanding by seeing their sketches. I’m also better able to address minor issues and questions that I think I would normally miss. 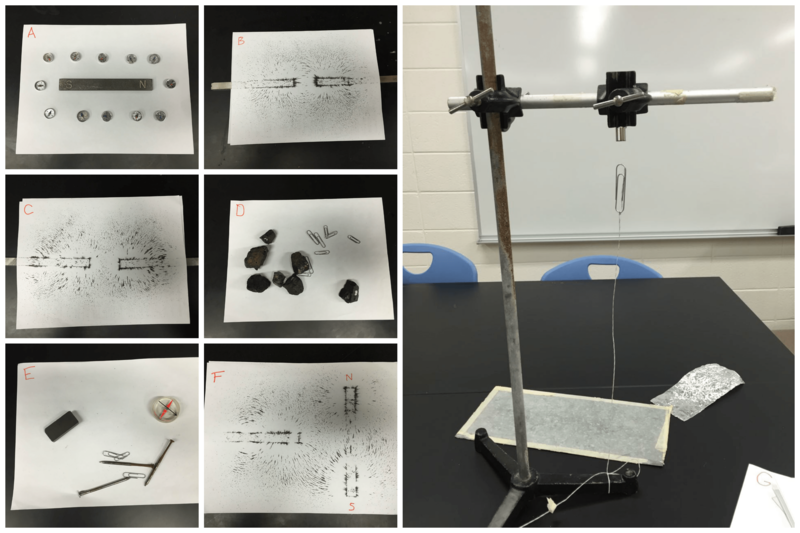 For example, some students wanted to draw lines between the x and dots representing the magnetic field of the current-carrying wire rather than just drawing the x and dots. After two days of school being closed due to extreme cold, we continued with the electromagnetism unit. 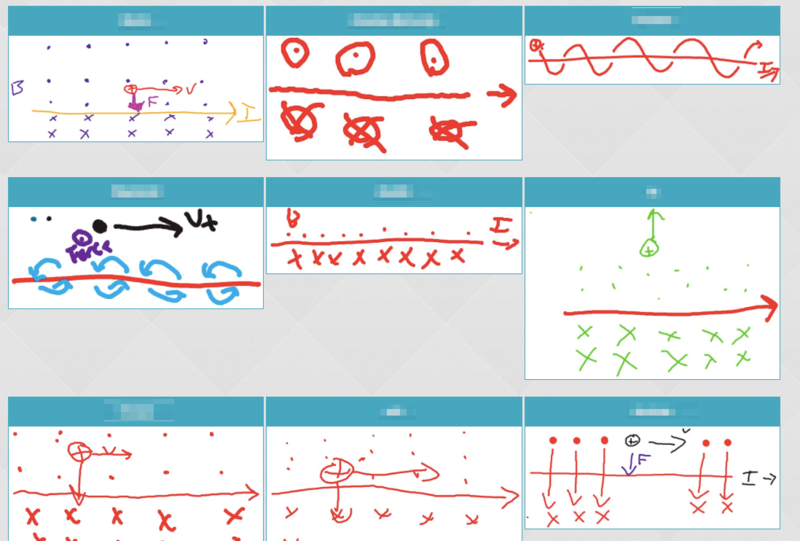 One of my personal goals this semester is for more short, formative assessments focused on sketching and writing. Today, we spent time sketching magnetic field lines and magnetic field vectors generated by a current-carrying wire. I displayed a few examples from students, and, as a class, we provided feedback on the strengths and weaknesses of the sketches.